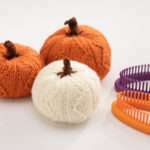 Show your appreciation for autumn with these fun loom knit pumpkins! 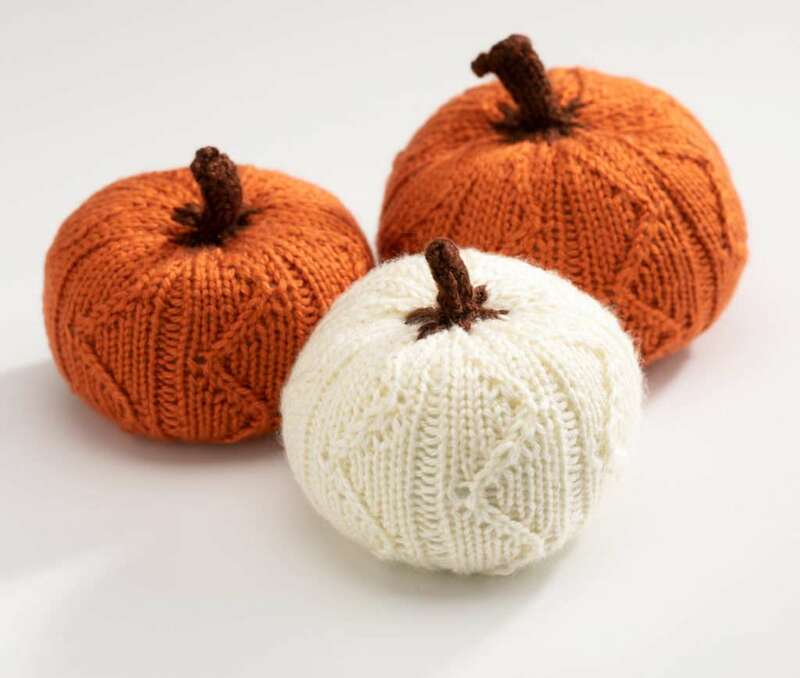 Simple 2 stitch cables create a fun zig zag pattern that give these pumpkins flair! YARN: 65 yds total of medium/4 weight yarn. Caron Simply Soft in colors Pumpkin and White (60 yds each) used in samples for the pumpkins and Chocolate (5 yds) for the stems. LC: Worked over 2 pegs. Take working yarn behind peg 1 (skip the peg). 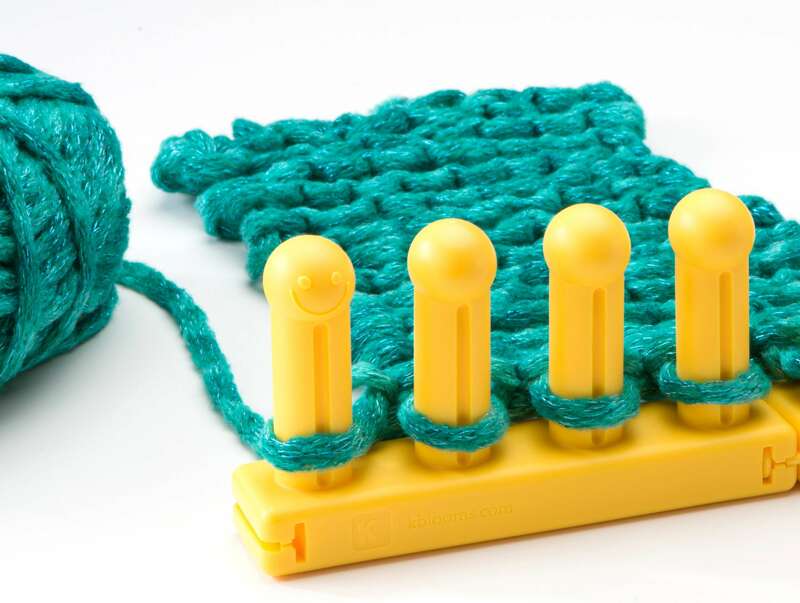 Knit peg 2 and place the stitch from peg 2 onto a cable needle and hold to the center of the loom. Move the stitch from peg 1 to peg 2 leaving peg 1 empty. Place the stitch from the cable needle on peg 1. Knit peg 2. RC: Worked over 2 pegs. Place the stitch from peg 1 onto the cable needle and hold to the center of the loom. Bring the working yarn in front of the cable needle and knit peg 2. Move the stitch from peg 2 to peg 1. Place the stitch on the cable needle onto peg 2. Knit peg 2. 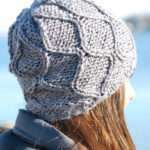 Do not use the e-wrap knit stitch. 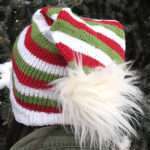 Use the true knit stitch or u-wrap knit as these stitches will make a tighter fabric more suitable for stuffing. Cast on all pegs with MC. Prepare to work in the round. For large pumpkins on the 64 peg loom, rep R6-12 once more. Wrap working yarn around loom 2 times and cut. Thread tail on tapestry needle. Run working yarn through all purl stitches and remove the stitches from the pegs while skipping and leaving the knit stitches until all purl stitches are threaded and removed from the loom. Wrap a second piece of yarn around the loom twice and cut. Thread on a tapestry needle. Run this piece of yarn through all the knit stitches and remove the stitches from the pegs until all stitches are removed from the loom. Gather the purl stitches first. Then gather the knit stitches. Pull all 3 ends (1 from the purls and 2 from the knits) to the inside of the tube. Secure with a square knot. Cut 2 more pieces of yarn the same as before. Thread the first piece through the purls and the second piece through the knits on the cast on edge. Gather in the same manner as the other end while adding more stuffing if needed. Pull the tail from the opposite end and tie with one of the tails from the cast on end to create a squat appearance. Cast on 6 stitches with CC. Knit all until stem is 1.5″ to 3″ long. Cut a long tail for sewing. Let the stem curl onto itself and sew one end over the knots on the cast on end of the pumpkin. Sew long stitches at the base to create the look of a real pumpkin stem. What kind of cast on would you use for this project. It’s really cute. Thank you. How do you get your stitches loose enough to Cable? After the first row of cables, my stitches are too tight to move. I don’t mean from this pattern. I was using a pattern from KB’s Zippy Loom Knit Cable book. But I thought you might be able to help me.